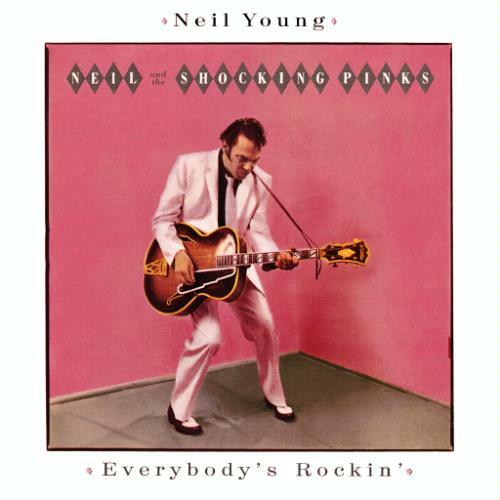 Everybody's Rockin' is a 1983 album by Neil Young and the Shocking Pinks. The album was recorded with the Shocking Pinks (a band made up just for the occasion), and features a selection of rockabilly songs (both covers and original material). Running less than a half of an hour, the music is unlike anything else in Young's career. However, Everybody's Rockin' is typical of his 1980s period in that it bears little, or no resemblance to the album released before it or the one released after it. The following year, Geffen sued Young for making "uncharacteristic, uncommercial records", because of this record and its predecessor. In the Mojo interview Young says "R.E.M. were going to go with Geffen, then they heard I was being sued and everything, they just dropped all contact with Geffen and signed with Warner Bros. instead. Geffen actually lost R.E.M. simply for suing me over Everybody's Rockin'!"